TMSM’s Adventures In Florida Living - What In The World? Happy Wednesday everyone! What in the WORLD is going on here in central Florida? So much, let’s get to it! This weeks update is going to consist of a lot of videos. There is just so much to explain, that showing you what’s been happening might be better! So as most know, the New England Patriots won the Super Bowl on Sunday. Every year we wait to see where the Disney parade will be and with which player or players. The following morning I got a media invite to go cover the parade at the Magic Kingdom! 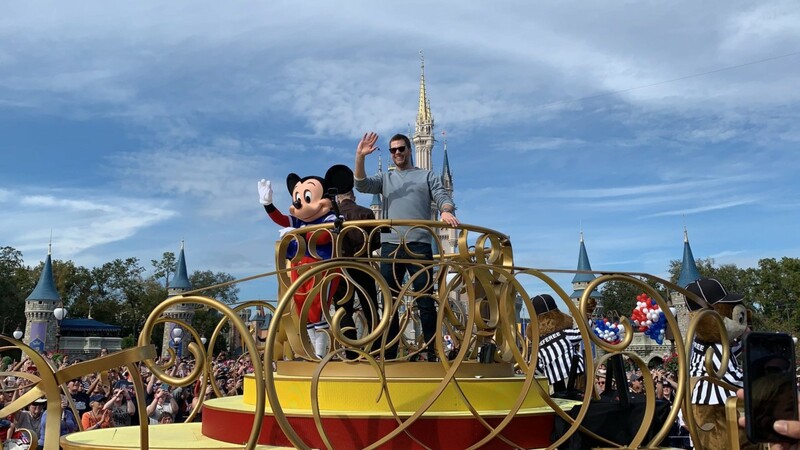 Tom Brady and Julian Edelman were scheduled to be in the parade with Mickey and friends. Pretty cool! However.. I had our show to get ready for, so I sent our staff member Lindsey over to cover for me. I never miss an event, but I had good reason. She did a great job and had fun in the process. Watch the footage below! The reason I couldn’t cover the parade is because we had a former Disney Imagineer coming to the house for our show. Yes, an Imagineer! Jason Surrell! He had worked on creating effects for the Haunted Mansion, directed Johnny Depp in a pirates attraction, has worked with those who worked with Walt Disney himself! He’s got a huge resume, and he was doing OUR show! Again, what in the world? I don’t know why he agreed to do TMSM Weekly Live exactly, but I’m SO grateful that he did. Jason has FASCINATING stories! I highly recommend watching his interview! In the mix of everything else going on, I happened upon the discovery that my new children’s book had been picked up by Barnes & Noble and Books A Million! I had no clue, so that was so exciting. It’s only been out since the holidays, so we were quite surprised. Yes, I cried! Also, we went and met up with one of our long time followers, Denise. 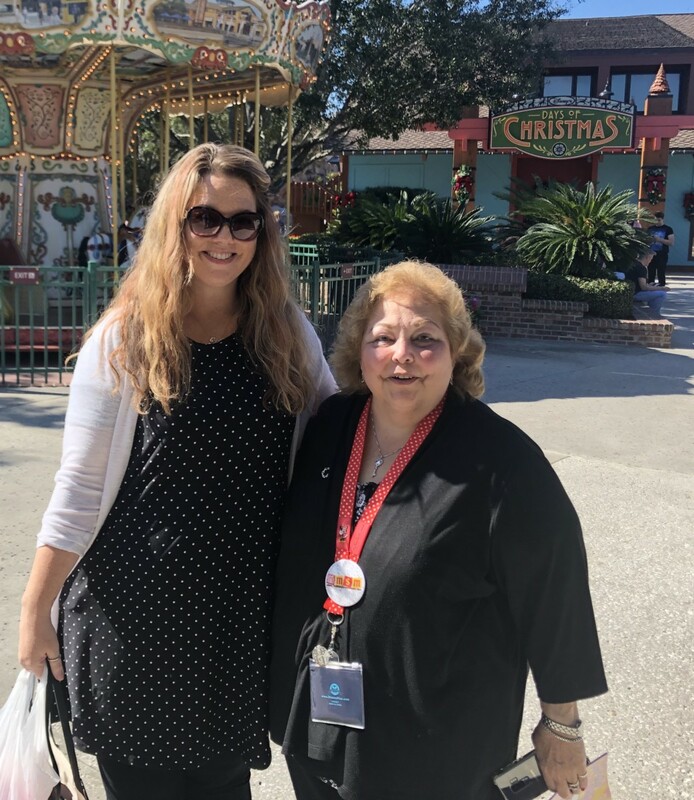 She and her husband asked us to lunch at Disney Springs, and we were happy to go. She wanted her book signed, and to be able to chat for a bit. I’m telling you, meeting the people who follow TMSM is always a humbling experience for me. It means more than I can say. Big hugs to you Denise! This morning I had my radio spot on 96.5 WDBO. The sillier the story, the easier it is for some reason. I’m getting used to it, and today we had a ridiculous story, plus a Disney one. The clips are short so I posted them for you to see!